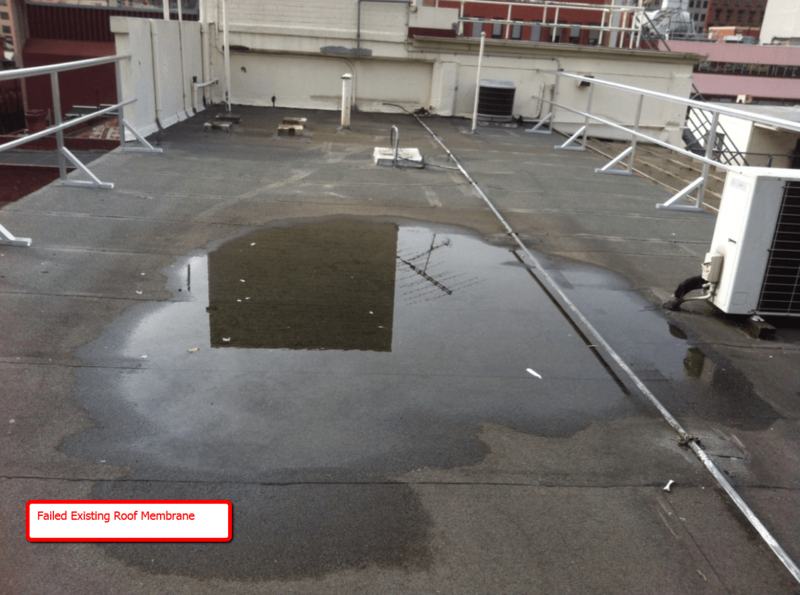 Water leaks are the biggest enemy for commercial buildings with flat concrete roof slabs. After the foundation, the roof is probably the next most important structural component. If drainage is inadequate (due to design or maintenance issues), water will "pond" on the roof surface. And if the existing waterproofing product is not suitable for standing water, the membrane will eventually fail. To maintain the integrity of a building, leaking roofs require permanent long term solutions to prevent structural damage and/or water ingress beneath. There comes a stage when "patching & short term" options waste time, money and ultimately safety. 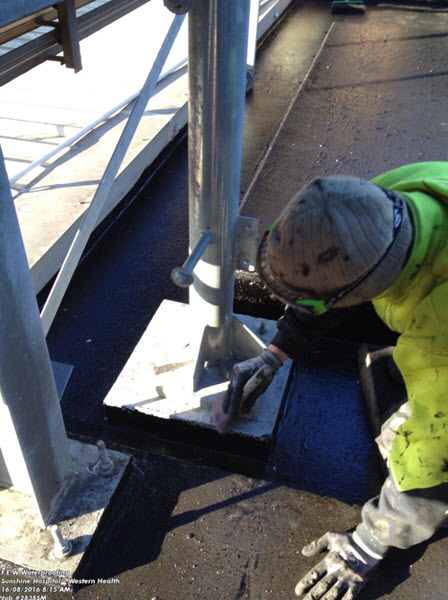 Findlay-Evans provide quality roof waterproofing repairs & systems. Guarantee Long Term Permanent Solutions. VIDEO - Why Use Liquid Spray On Membranes? 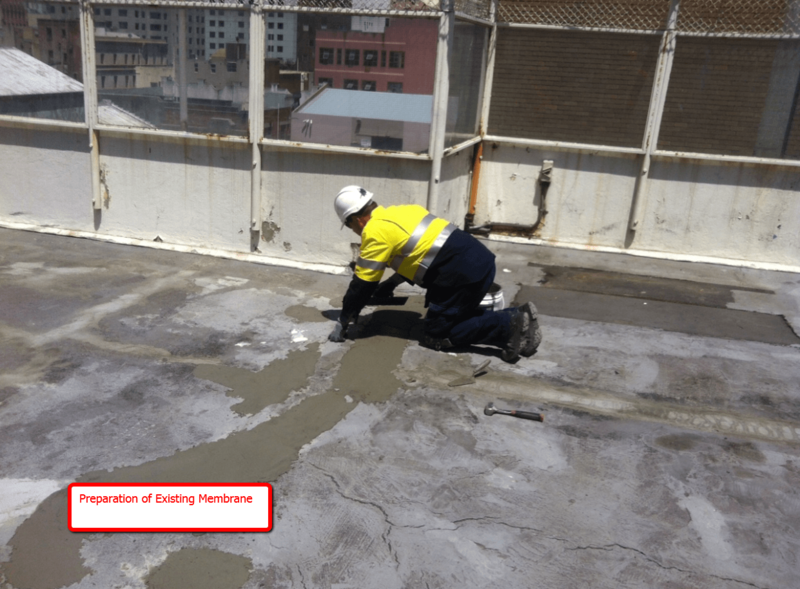 How seamless liquid spray on membranes repair commercial roof leaks. 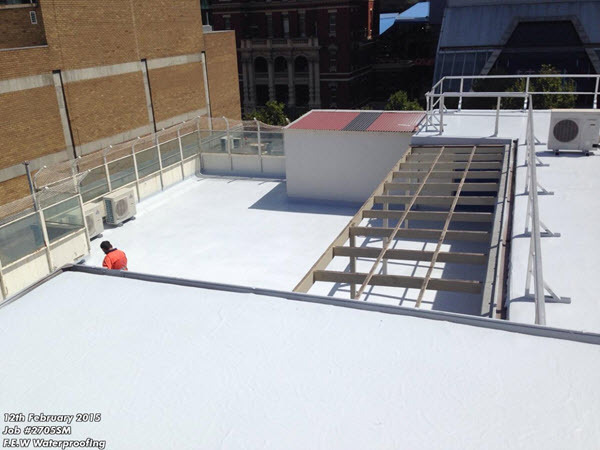 In situations of leaking roofs and failed existing membranes, like the roofs above, seamless liquid roofing membranes are cost effective and extremely fast to apply. 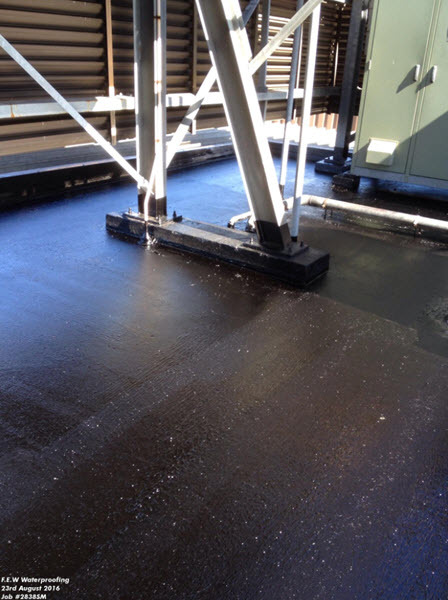 Roof waterproofing systems are sprayed directly onto the roof surface; creating a single monolithic waterproof coating. The Findlay-Evans Team regularly inspect extensive roof damage due to water leaks. There are several waterproofing methods available to solve roof leaks. 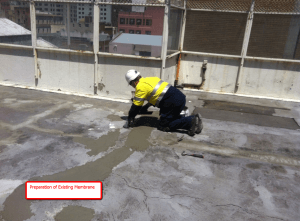 Paul Evans, Manager/Director Findlay-Evans Waterproofing and President of Australian Institute of Waterproofing, discusses the different types of waterproof membranes. 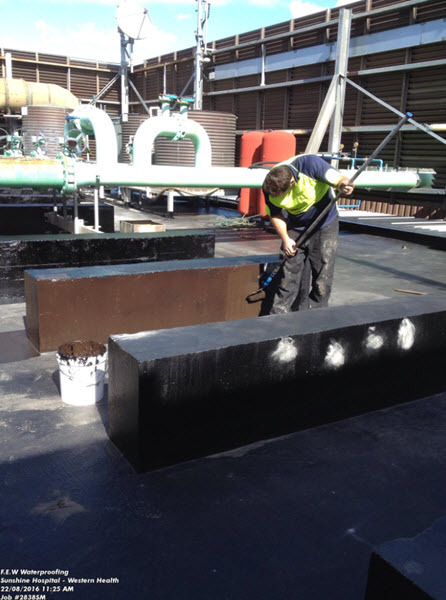 Findlay - Evans roof waterproofing product of choice are Liquid Applied Membranes (LAMs). 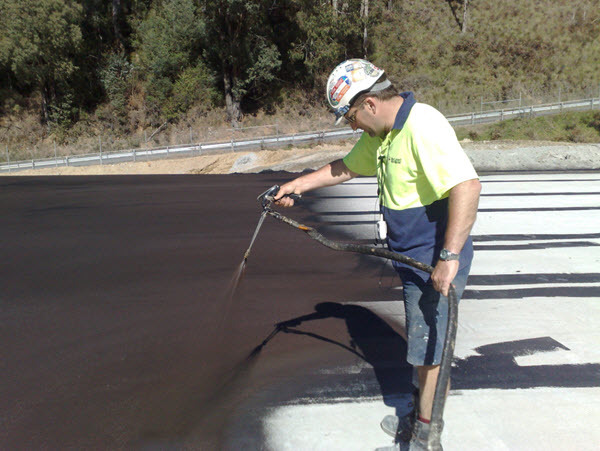 Liquid membranes are seamless, elastomeric coatings which also have the advantage of being extremely robust and with full adherence to just about any surface – also comes with a 15 year warranty. 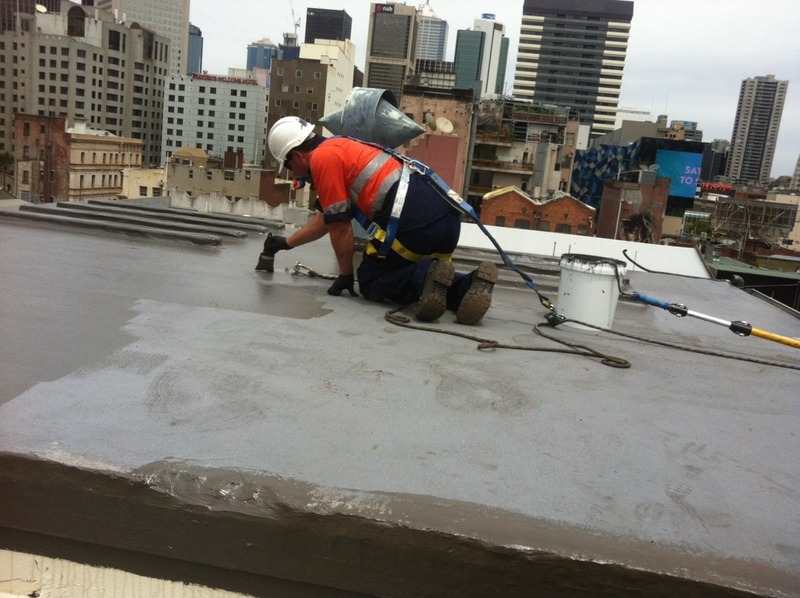 Find out how Liquid Rubber is the ideal roof waterproofing system for a commercial building in Melbourne's CBD. Liquid applied membranes are sprayed directly on the roof surface - this makes a fully bonded coating - as opposed to Sheet and Torch On systems. 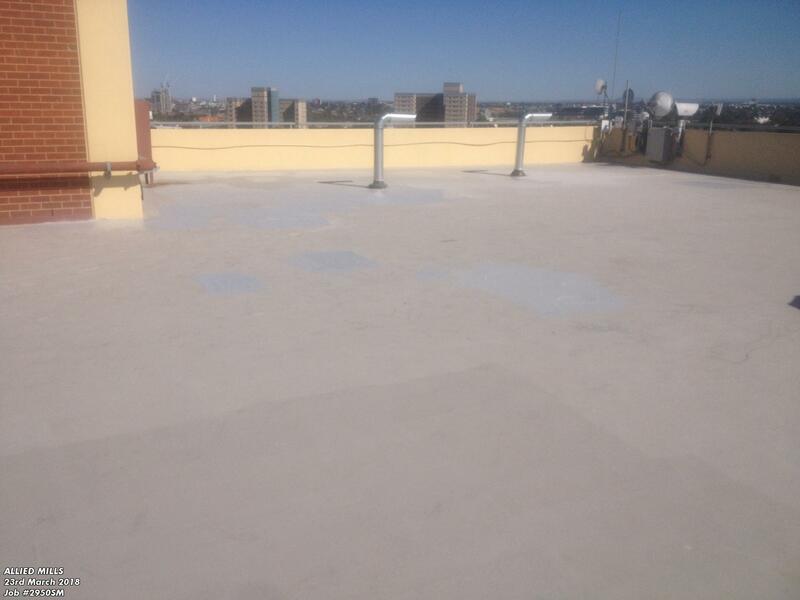 Liquid waterproofing makes it easy to completely seal around and under "busy" roofs - that is rooftop decks with facilities in situ. 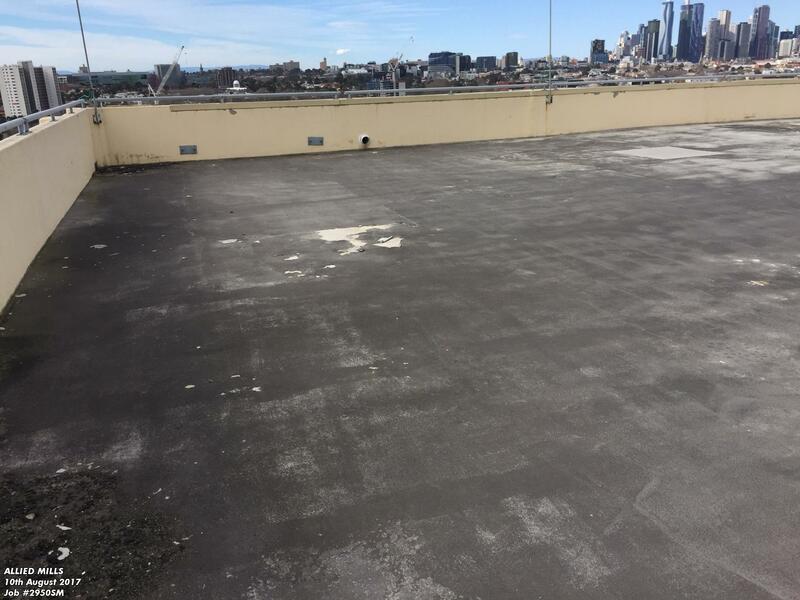 Concrete or metal - Liquid Rubber Membranes waterproof around roof utilities, conforms to all shapes and seal roof penetrations. The ideal roof coating provides a cost effective, efficient and permanent water barrier to water and prevents ingress. This avoids the constant ongoing maintenance & roof repairs. Fixing roof leaks with spray applied membranes will restore a roof with one application. 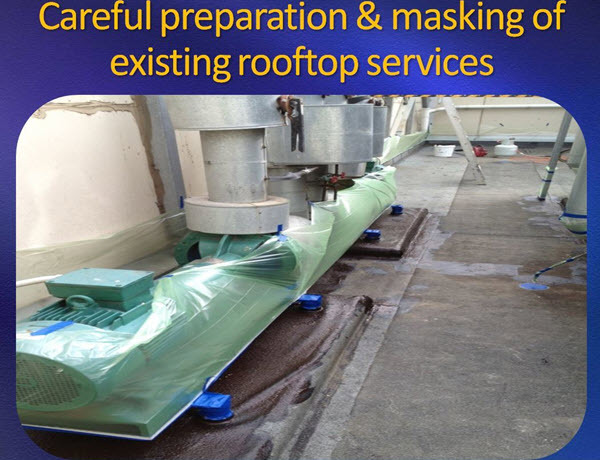 avoids constant maintenance repairs roof removal. 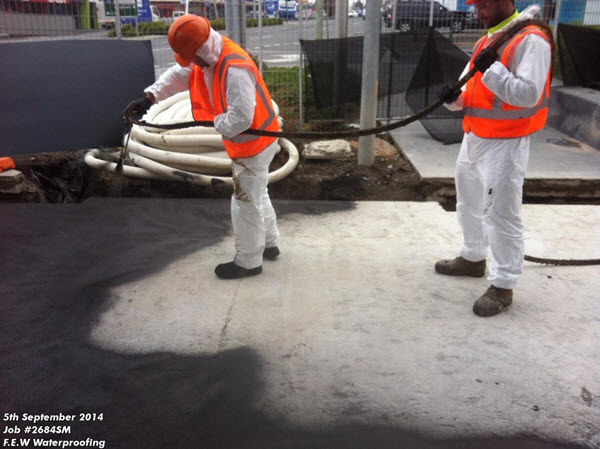 Liquid Spray Apply Membranes are extremely durable and a long-term solution for leaking roofs. The Findlay-Evans Team offer roof coatings with heat reflective chemicals - providing significant reduction of interior temperatures. The liquid membranes are applied like paint and, when dried, they generate an impermeable elastic film without seams, which allows sealing all those points where the waters could easily stagnate, guaranteeing the longest durability and resistance of the system in general. 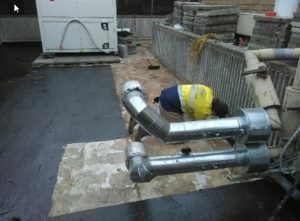 The resulting coating is permeable to water vapor and resistant to UV rays. Although their elasticity allows them to correctly resist the expansion of their surface –for example, as a result of high sun exposure–, it's recommended that in these areas the membranes incorporate reinforcing fabrics or meshes, giving them greater resistance to the tension and the tearing. In addition, liquid membranes can provide other benefits, such as improving the appearance of old roofs, mitigating roof noise and improving thermal insulation.